Random Facts That Will Make Your Morning Coffee Taste Even Better. Have you ever found yourself sitting in a traffic jam? What if you sat in one for over five days? And did you know know that there's actually a type of doorknob that disinfects itself over time? If you're a fan of trivia facts, keep on reading. We've compiled a list of crazy facts that will make you wonder if we're actually telling you the truth. #1. There was actually a traffic jam that lasted for more than 10 days. The cars were only going 0.6 miles a day! The traffic jam started on the China National Highway on August 14, 2010, and looked pretty similar to the traffic jam you see here from 2015. The traffic jam was around 60 miles long and some drivers reported being stuck for a total of five days! #2. There have been a total of 40 earthquakes on Mount St. Helens since New Years Day. 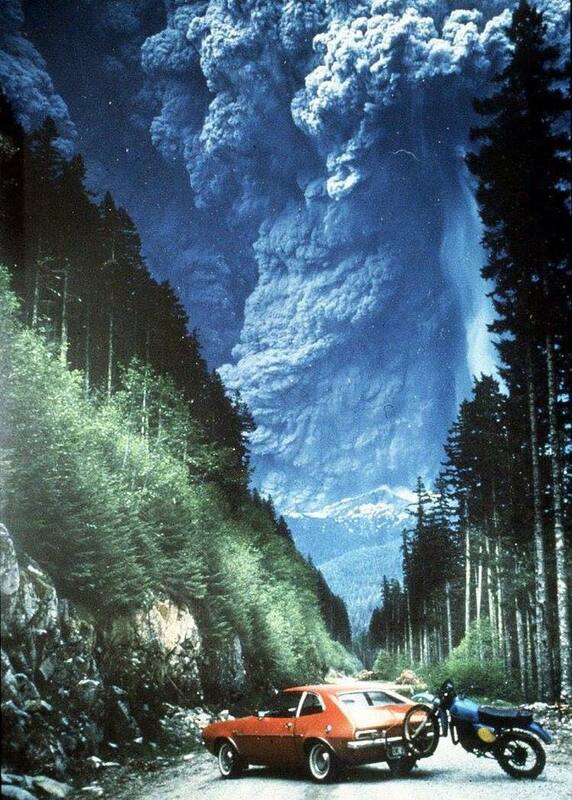 May 18, 1980, was the day Mount St. Helens erupted and took the lives of 57 people, who were completely unprepared for the eruption. It was the worst volcanic event in United States history. The US Geological Survey reports that most of the people that were killed by asphyxiation from inhaling hot ash. A number of bodies were never found. #3. “Mind Your Business” was the motto on the first U.S. coin. Benjamin Franklin designed the wise coin in 1787. The motto we see today, “In God We Trust," didn’t appear on the U.S. coin until 1864. #4. When frozen lobsters are dethawed they can come back to life! Trufresh, a company from Connecticut, began freezing their lobsters the same way they froze their salmon. They discovered that the lobsters would sometimes come back to life. #5. A man named Charles Osborne had the hiccups for 69 years! He began hiccupping in 1922 and wasn’t able to stop until 1990! For the first few decades he would hiccup up to 40 times in a minute! Eventually, it slowed down to 20 hiccups a minute.